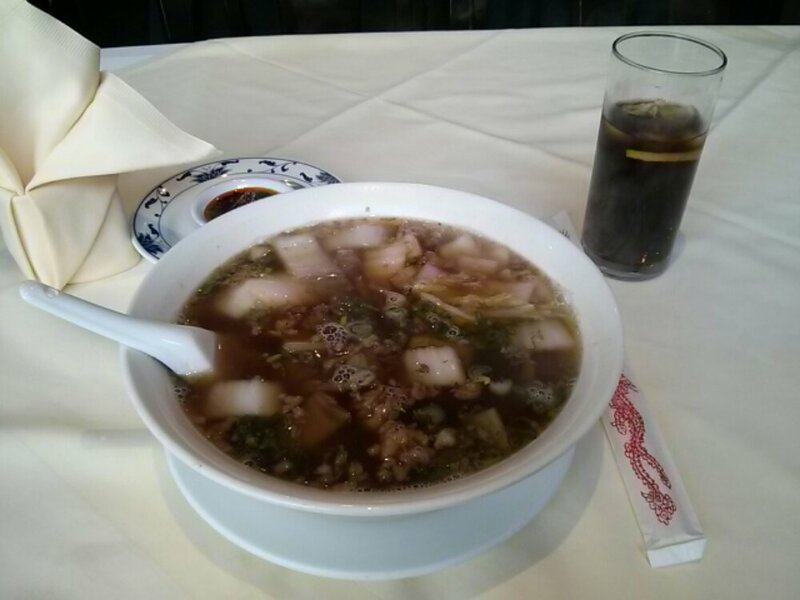 I know the weather is balmy and not exactly right for soup noodles. But when the soul needs warming, the weather is sometime not be enough to do the trick. 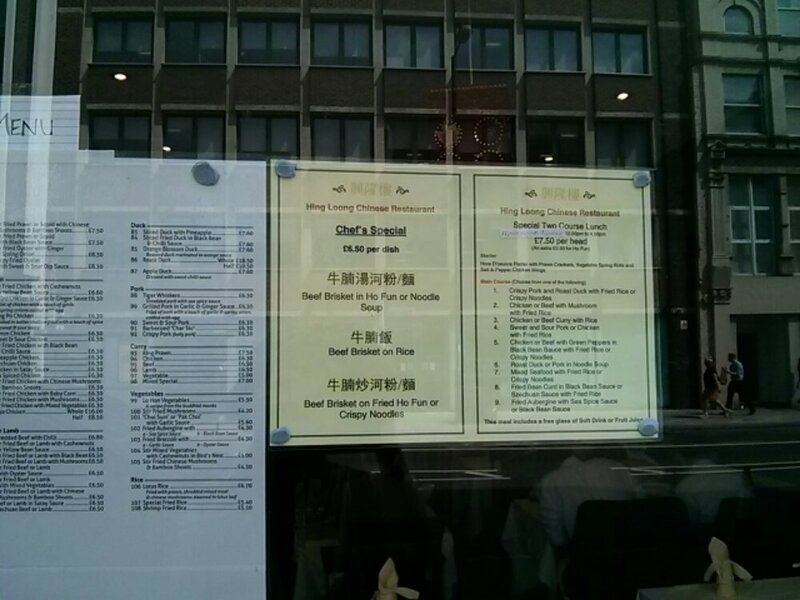 Last week, managed to find some time to visit a local Chinese joint I have spotted on my wanderings. 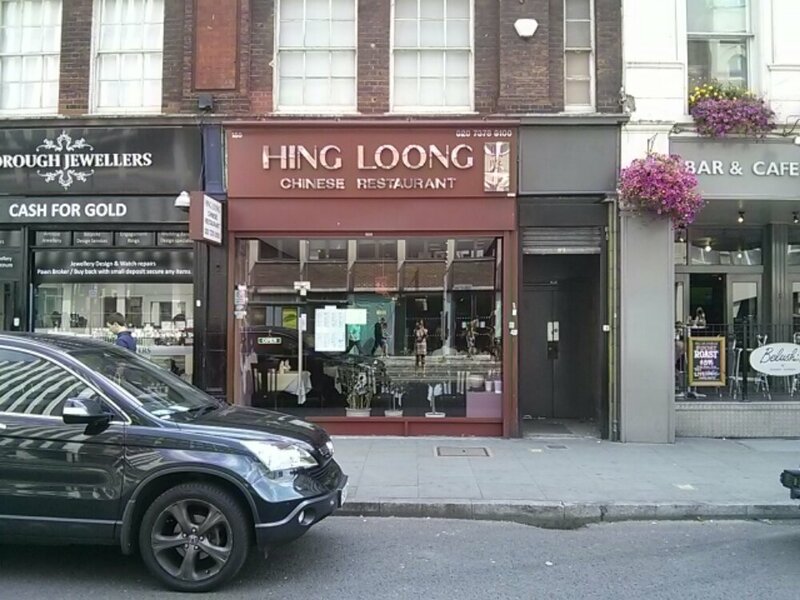 Located along Borough High Street, Hing Loong unlike a typical Chinese takeaway, has ample seating with simple, yet modern decor. 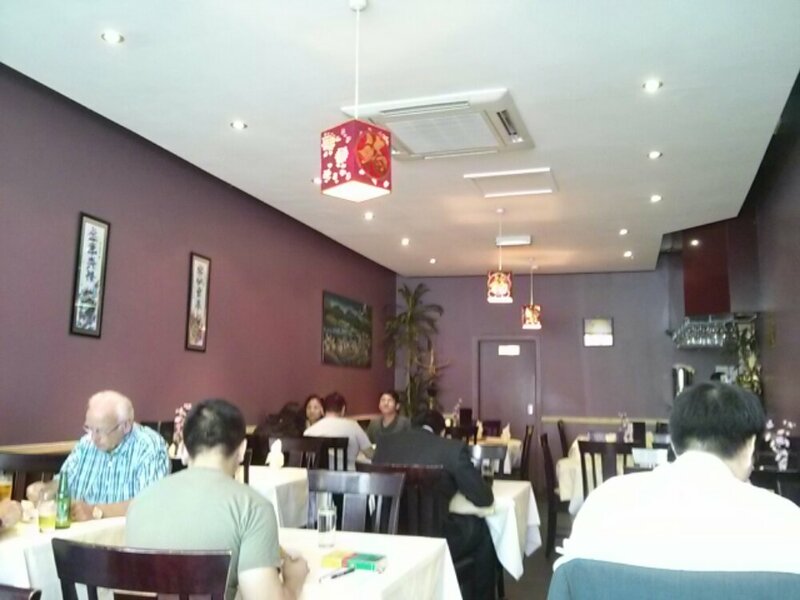 The main menu looks like a typical Chinese food establishment but the lunch menu looks to be OK especially the 2 course lunch menu at £7.50 which include a drink. 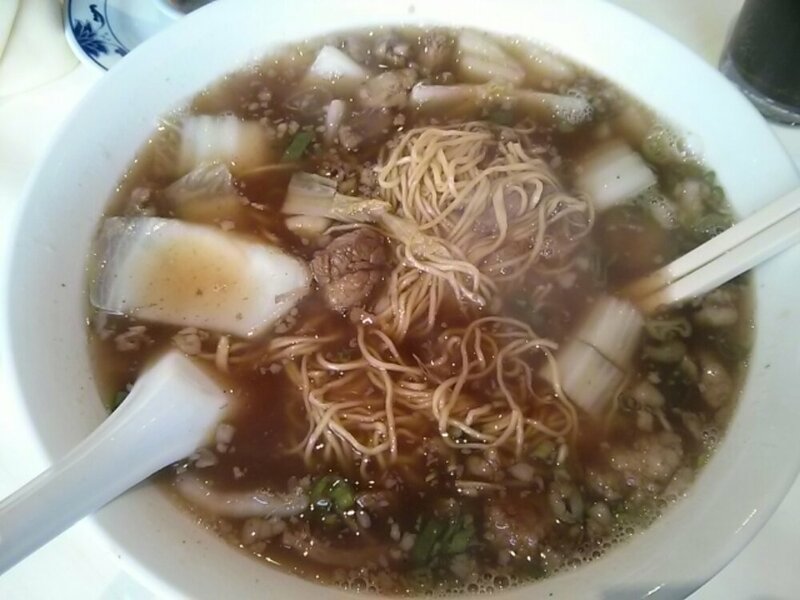 But I was tempted by Beef Brisket Noodle Soup and at £6.50, not exactly cheap, but we shall see. My order came within minutes of ordering as 1. The joint is not packed 2. 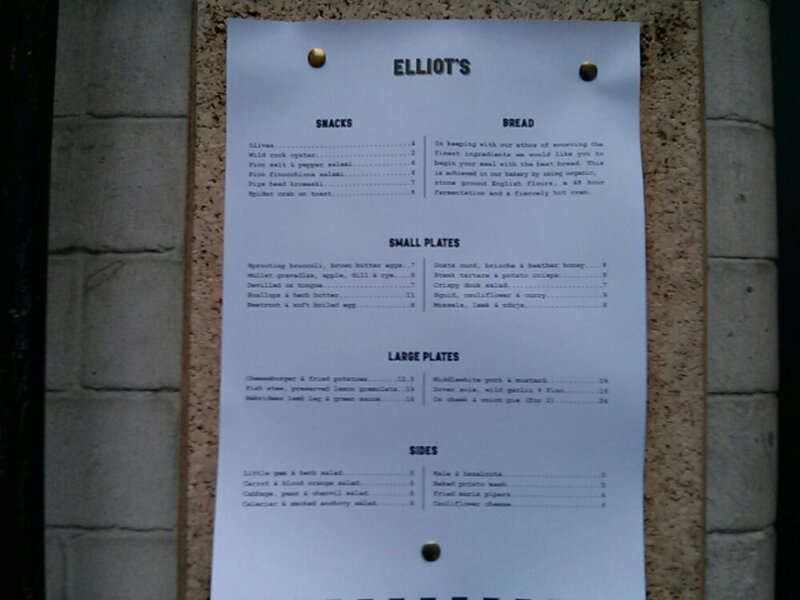 Looking at the menu, they must have a big pot of brisket stewing away in the kitchen. The big bowl of noodle soup steaming which is a good sign, I do like my soup scorching hot. I went for the egg noodle option as I did not feel like ho fun (broad rice noodles) and the waitress promptly provided me with crush chilli oil when asked. I would give this 6 out of 10. 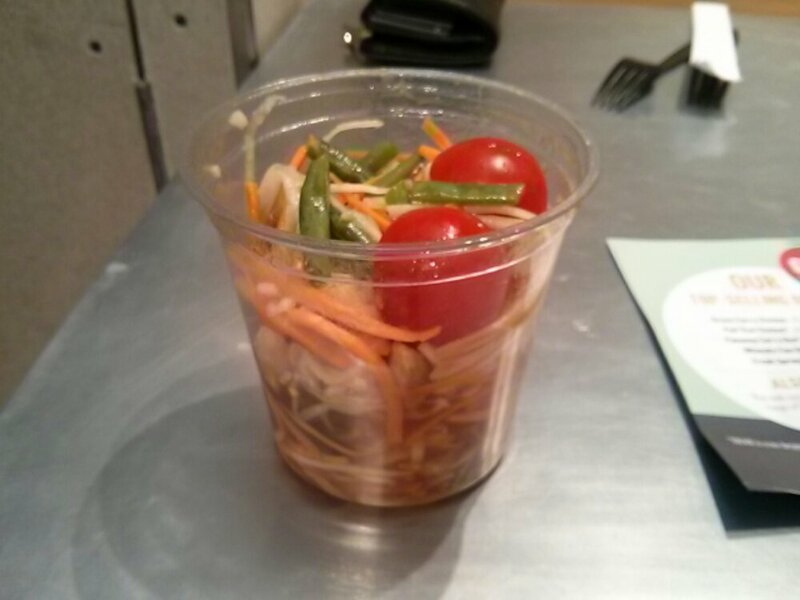 The temperature was good, the noodles were not overcooked, the chinese leaf and slice spring onion garnish was adequate. The main problem I think was with the beef brisket stew. Can you see the white bits floating in the soup? That’s the fat rendered out of the brisket, probably through over stewing. 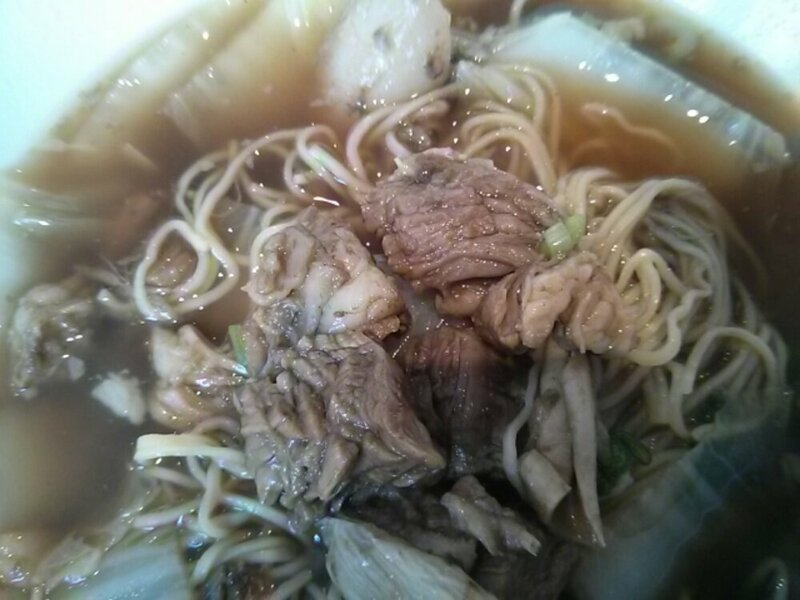 The beef brisket submerged at the bottom of the bowl were soft but mostly disintegrated. Also, the stew could do with more five spice especially star anise. A good dash of Shaoxing rich wine will not go amiss as well! A couple of weekends back, I dragged the Boom to the inaugural Ealing Blues Festival in exchange for weeding his driveway. Why on earth did I agree to this deal, I’m not sure. It’s not as if he did not enjoy the outing *grumble*. 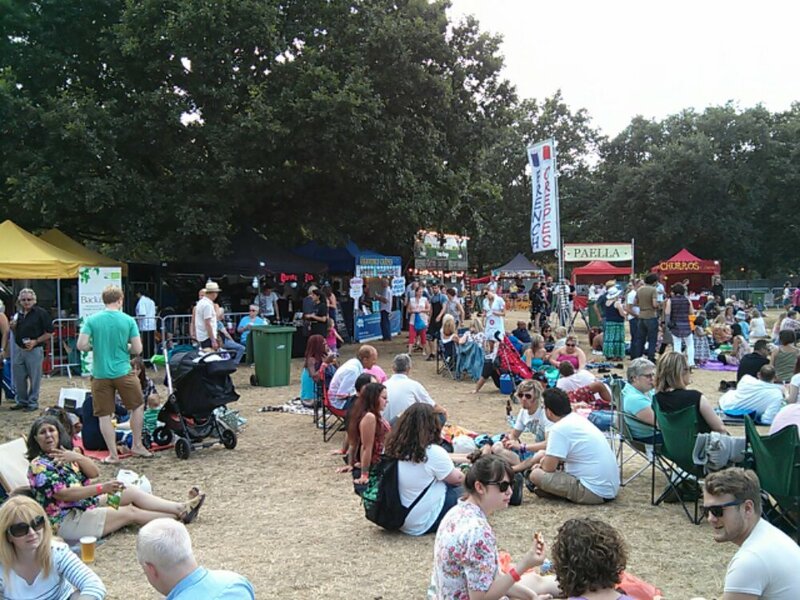 Summer is festy season and everywhere you go, you will see promotions for festivals big and small all around the city, in local councils and around the country. Back in the day when Junk was a spring chicken and the Boom was just boom, we were big festy fans and we try to go for at least one festival yearly. Nowadays, we shudder at the thought of trekking through mud, long toilet queues and going for days without a hot shower. 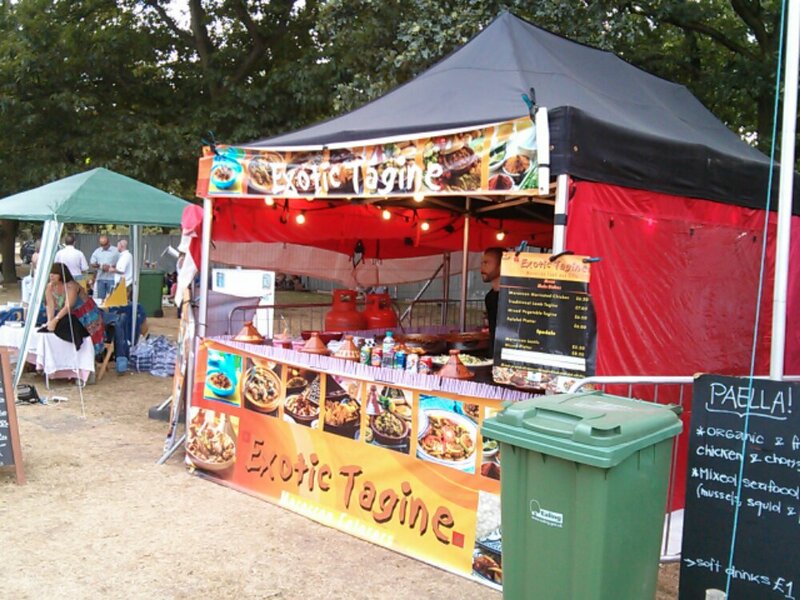 A day fest is all we can take which makes the summer festival held in Ealing a perfect option. 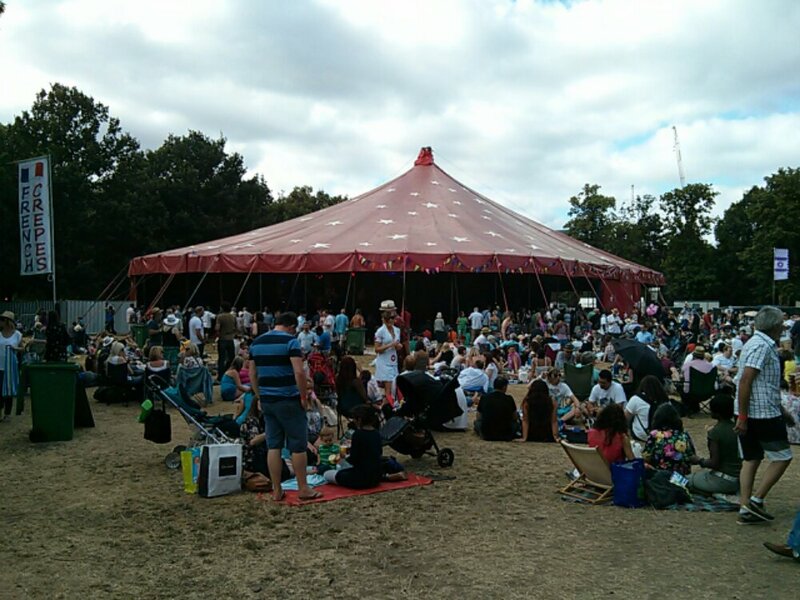 Apart from the blues festival, the Ealing Summer Festival collection also include a comedy festival, a jazz festival, open air cinema and many other similar events. We tried the jazz and comedy a couple of years back and hope we will enjoy the blues one as much. 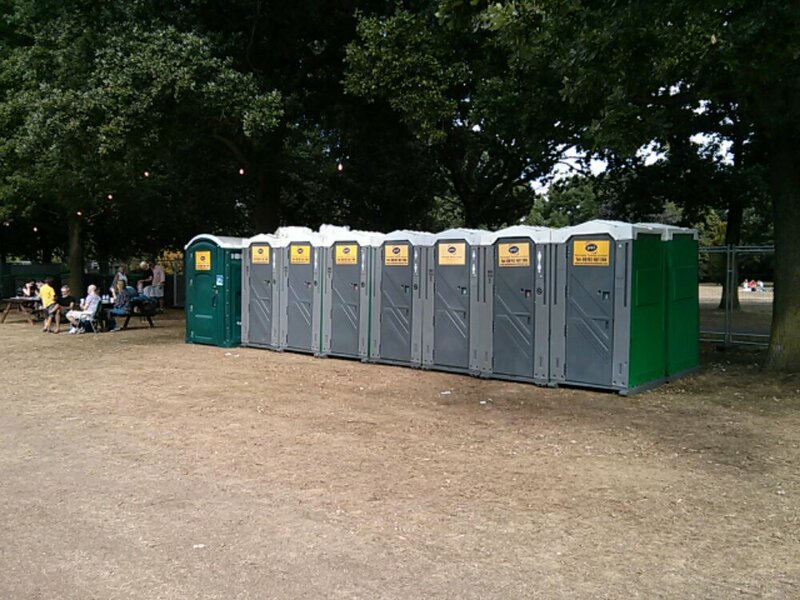 For Boom, his main focus when at a festival is the location of the beer tent and the “facilities” i.e., toilet. As for Junk, her food radar will be on high alert once pass the festy gates. Junk was pretty happy with what she saw on offer. 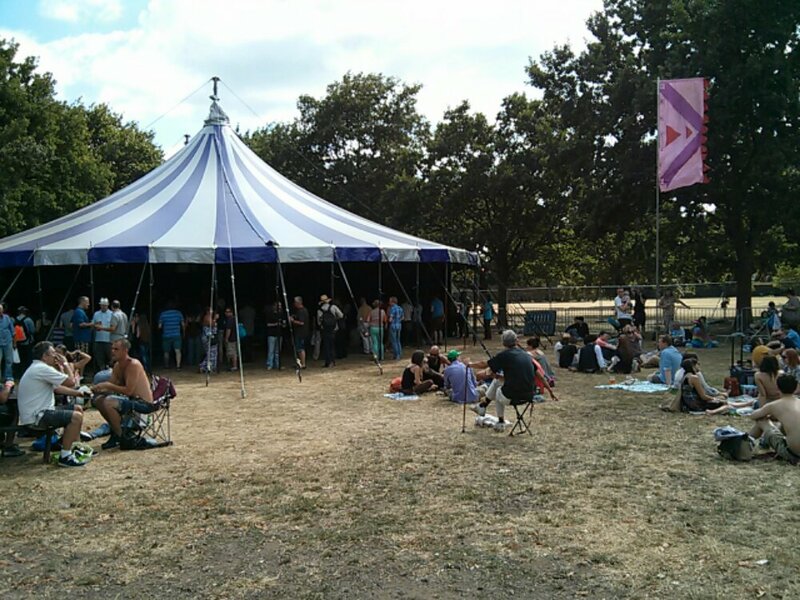 After settling down in front of the quieter and more tranquil second stage, with beers and cider in hand of course, my stomach started to rumble. So off I went to checkout the food offerings proper. 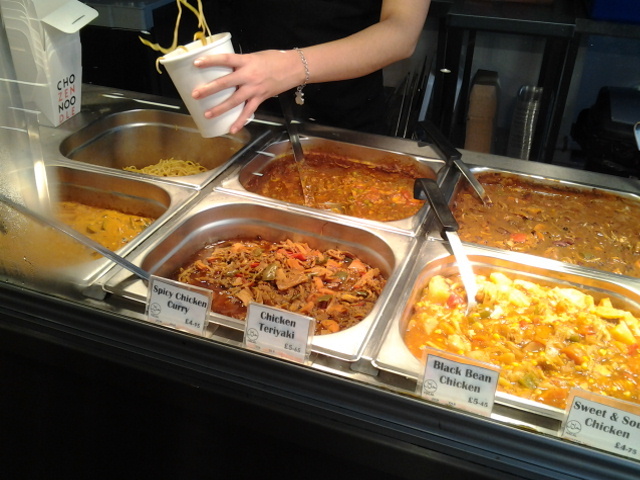 Decided to get some tagine from Exotic Tagine and some snacks from the Thai store. 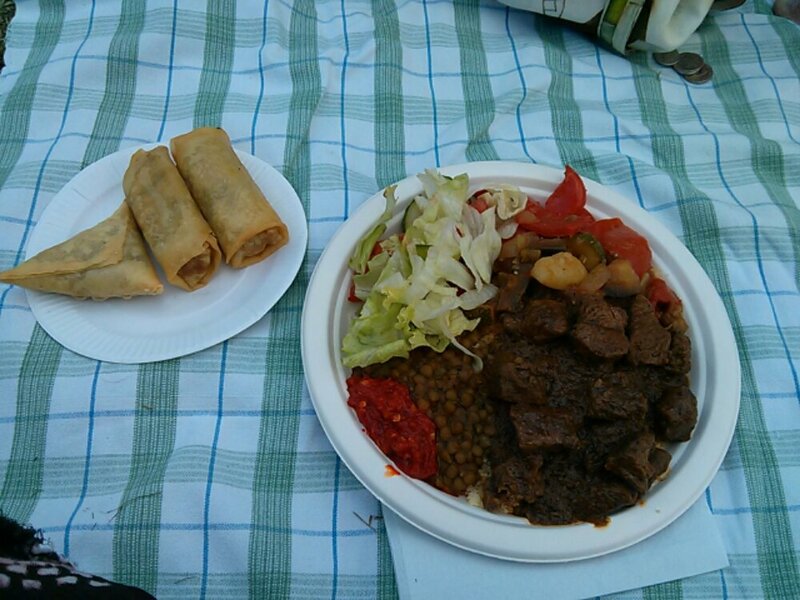 The Traditional Lamb Tagine cost £7 while the snacks were £1 each or 3 for £2.50. I got 2 veg spring rolls and a chicken samosa to share with the Boom. The lamb tagine was pretty good. 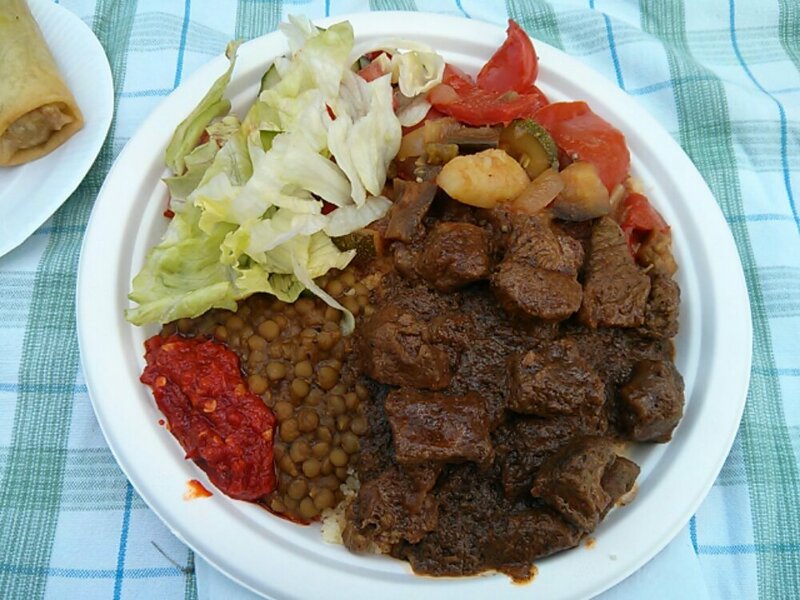 Generous portion of lamb tagine on fluffy couscous with sides of mixed veg tagine, a puy lentil stew and some fresh salad. 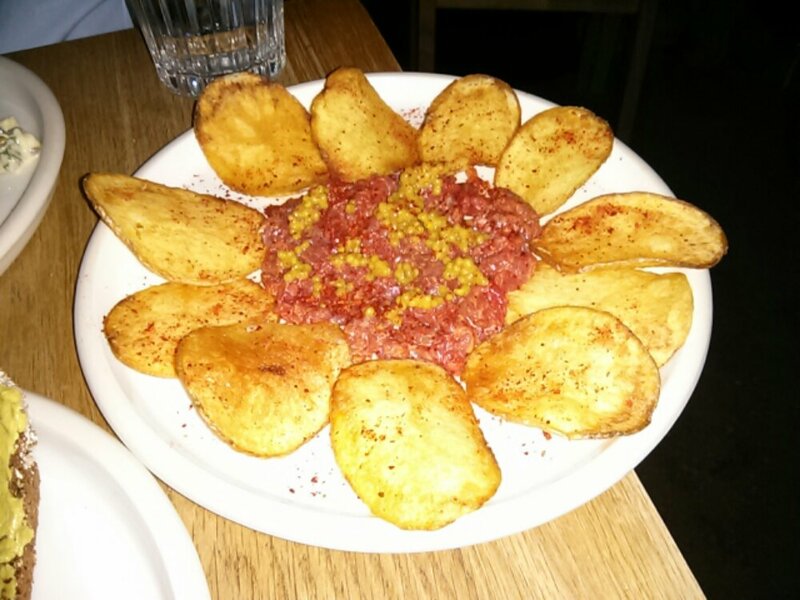 The bright red sauce on the edge of the plate as expected tasted like the typical salty sambal olek but with the addition of preserved lemon. 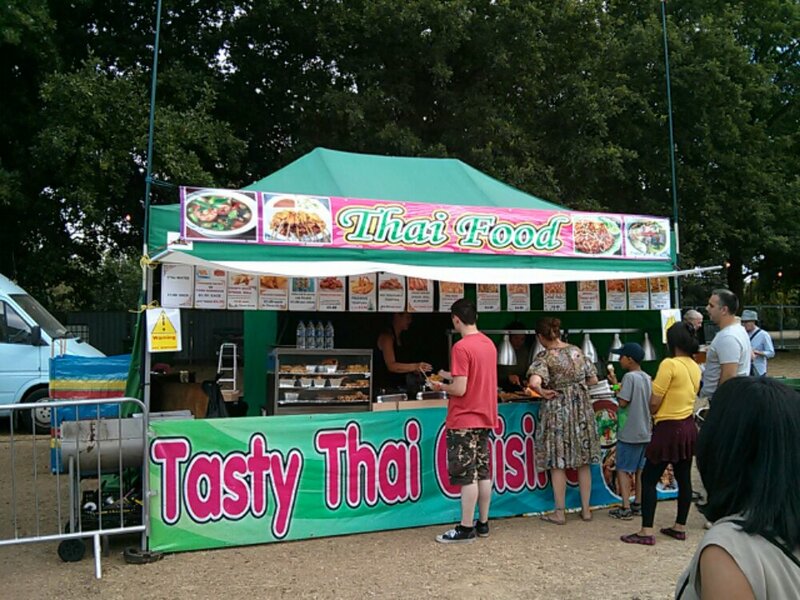 My only complaint is at £7, I think its a tad steep especially when you are allowed to bring your own food into the festival ground. Apart from food, there are also a few stalls selling stuff to satisfy those who can’t help but shop. 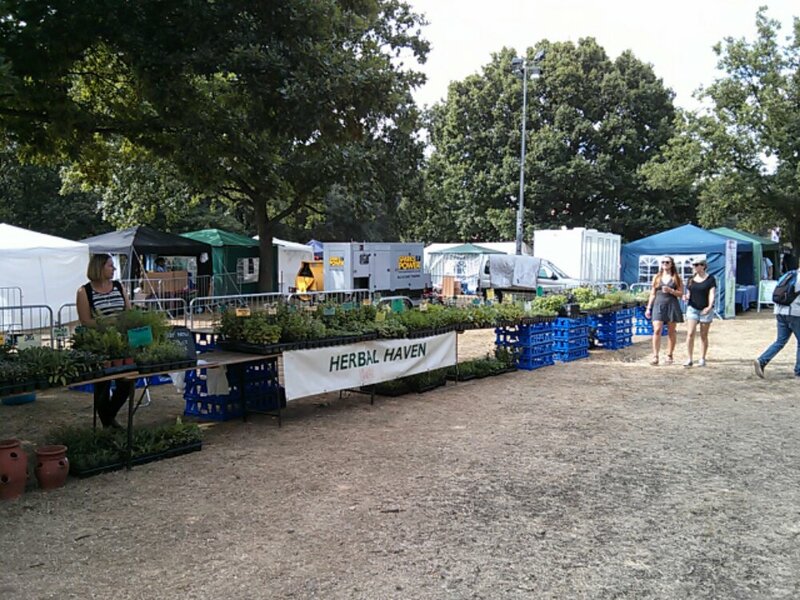 Both of us were pretty impressed with the variety of herbs on sale at this stall near the second stage. Was tempted to buy some as the herb pots were a couple of quid each but couldn’t be arsed carrying them on the bus for home. 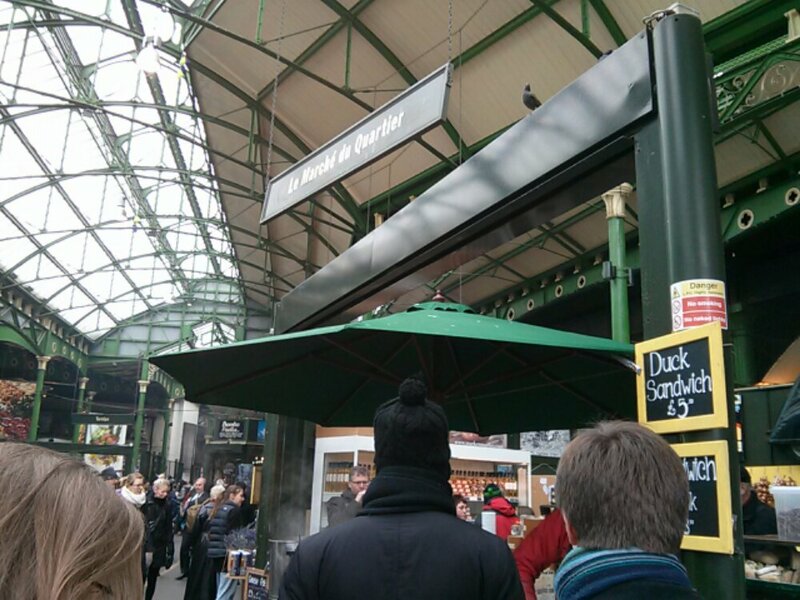 I hate Borough Market! Ok, I know that sounded a tad strong. I’ll correct myself and be slightly more PC. 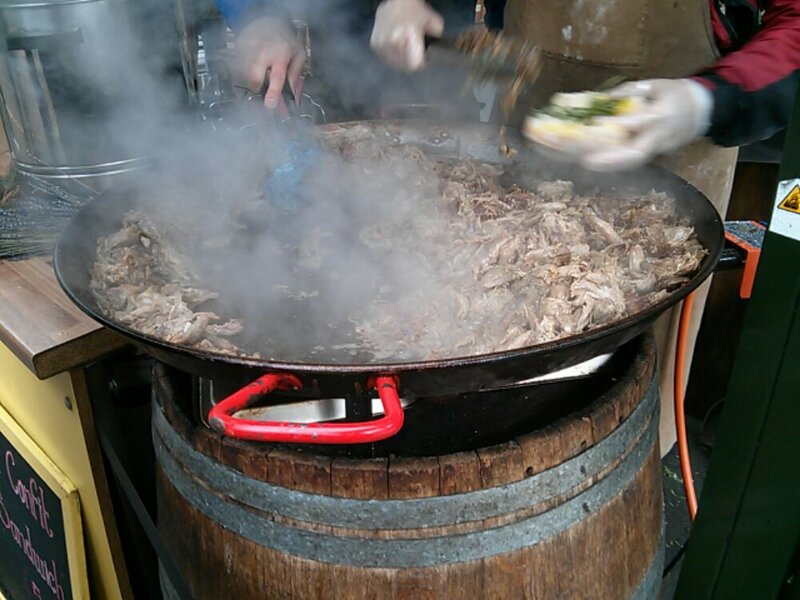 I hate Borough Market from Thursday through to the weekend! When I first came to London and visited Borough Market, I used to be in awed by the variety of food and produce available. But nowadays, not only have the variety dwindled, most of the clienteles on full market days are 90% tourist! They mill around like mindless sheep, getting into everybody’s way and buys nothing serious. Makes my blood boil! Enough of my ranting, on to today’s post. So last Thursday, feeling guilty about not blogging as much as I used to, I decided to risk a walk to Borough Market wanting to checkout a Caribbean Jerk stall which was opened the day before. 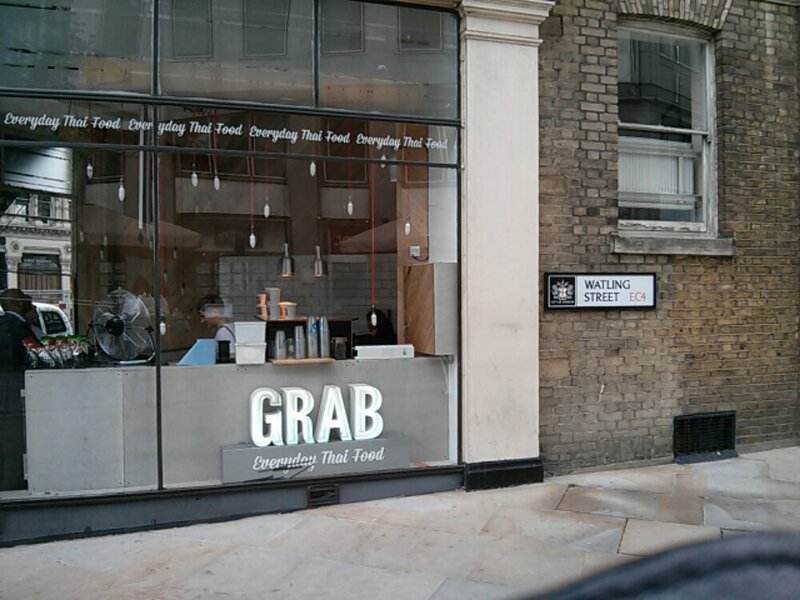 When I got there, it was not opened and I was at a lost with what to get for lunch. As it is I was running out of time as I have meeting soon and the throng of tourist did not help. 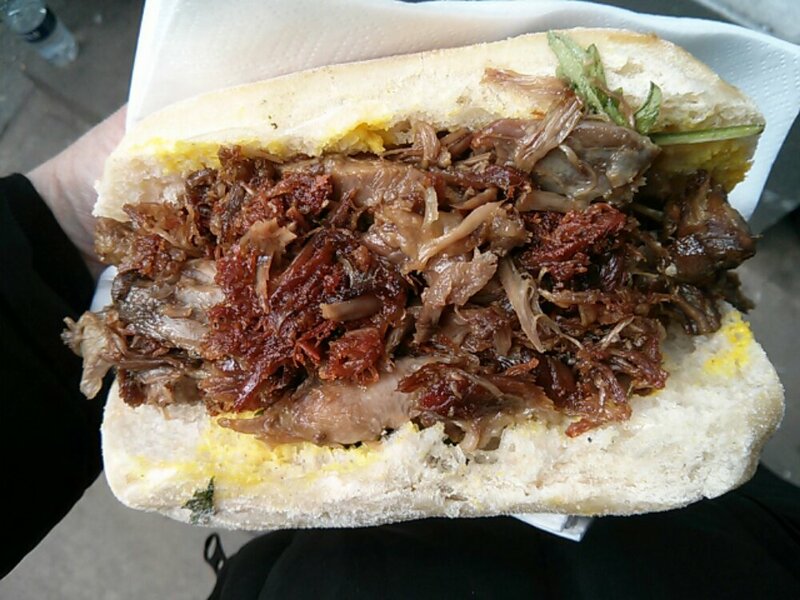 Anyway, finally decided to have the Duck Confit Sandwich from Le Marche du Quartier which I have been promising myself to try. Le Marche du Quartier also known as The Market Quarter is a french shop selling french supplies. 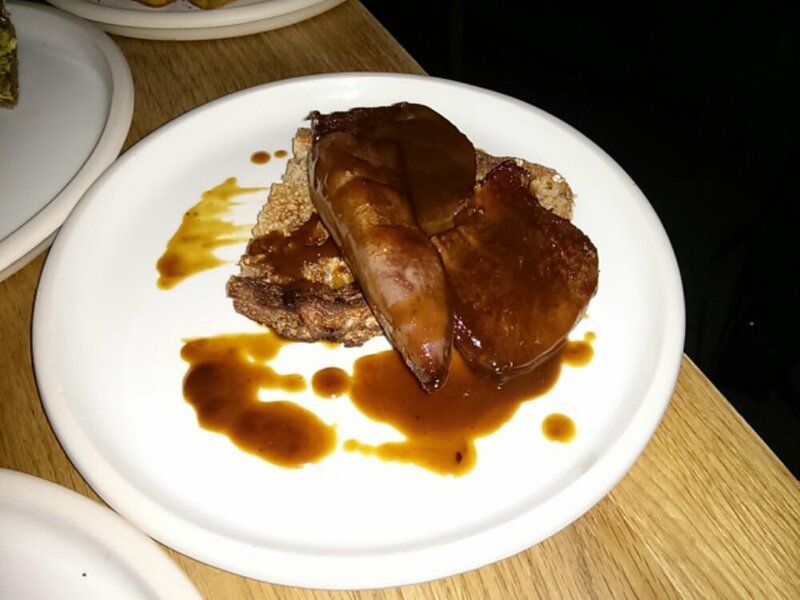 You can find tins of confit de canard, pate, goose fat, foie gras etc. Typically french stuff. When the shop is open, they also have a make shift stand selling shredded duck confit stuffed into a ciabatta with a few token fronds of rocket. 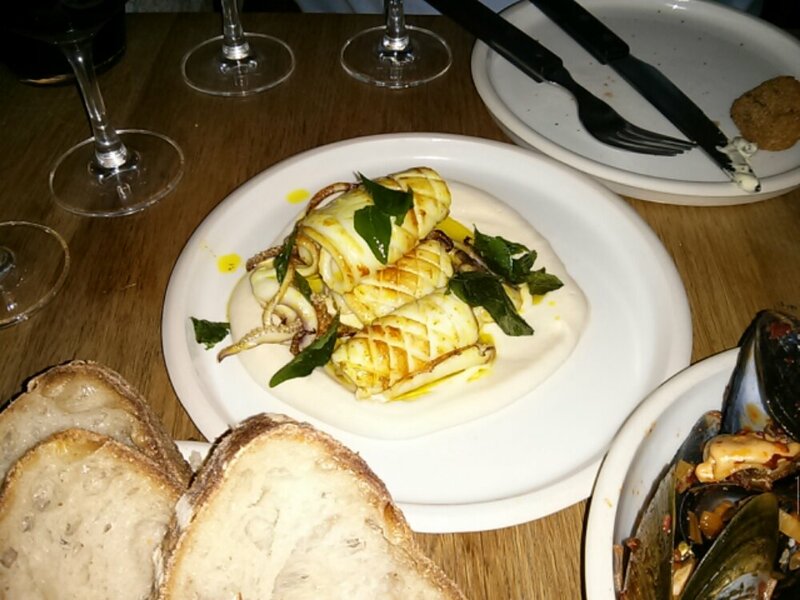 At £5, it’s pretty affordable by Borough Market standards. 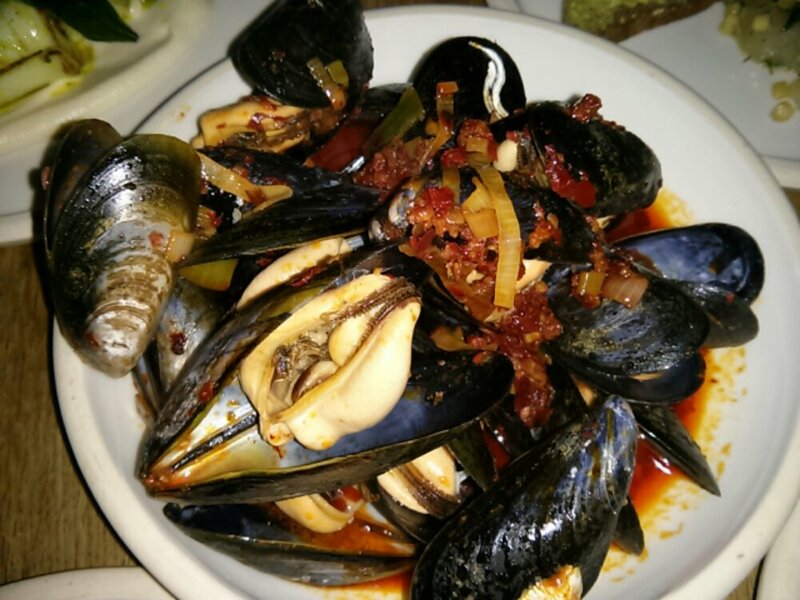 If you look carefully at the picture above, you can see a blue movement behind the steam. That’s the chap busy mopping up the fat from frying the duck confit. As you can see from the gleam of the filling, this is seriously fatty stuff! I was a tad worried that apart from being fat, it will be really salty as well. 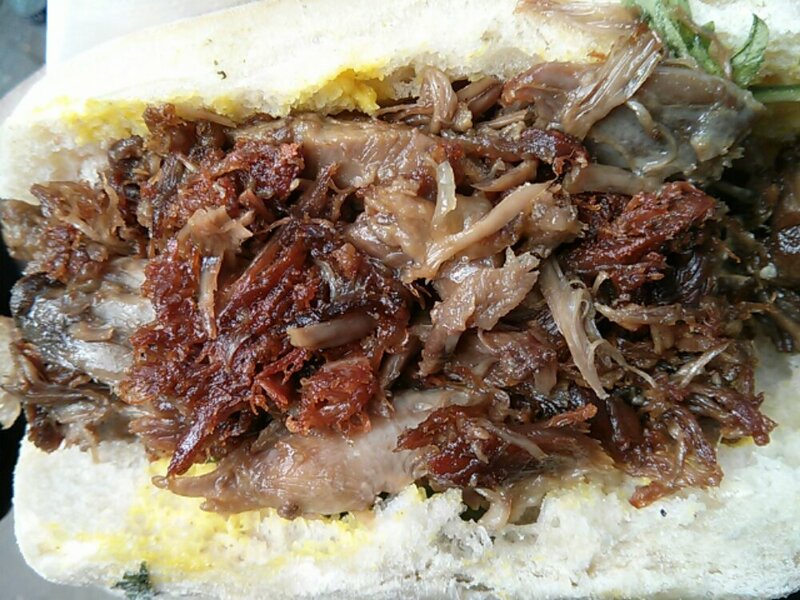 Luckily, the hearty ciabatta overcame the saltiness of the duck confit. The portion was very generous but I would prefer to have more rocket which will also help to cut down the fattiness of the stuffing. If you are not a fan of fat, suggest you stay clear of this. 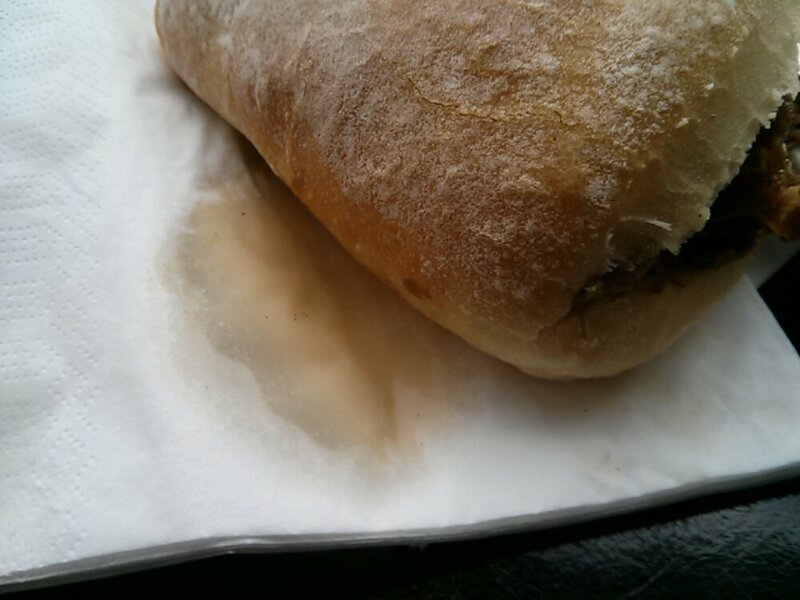 Even 5 thick sheets of napkin cannot overcome the power of the grease! The sun is bright and shining and decided to take a walk to Bankside to grab a spot of lunch. 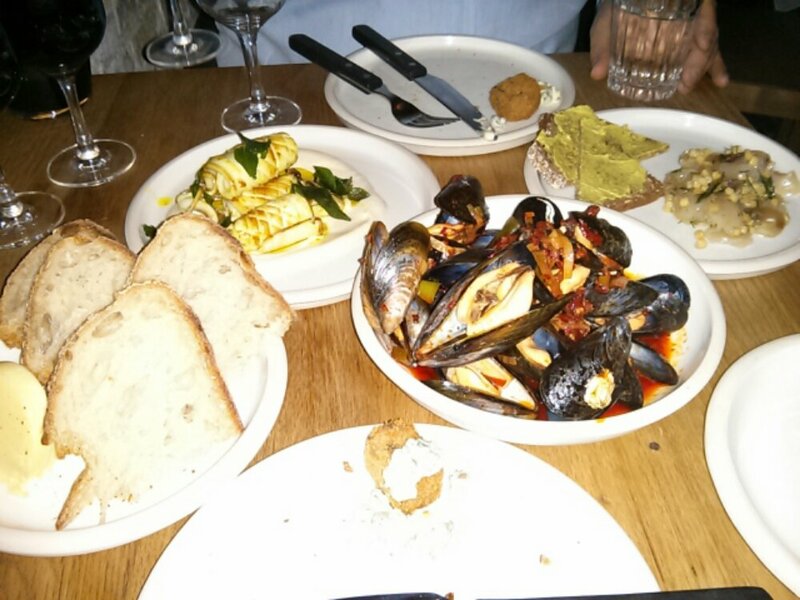 The last time I was out for a wonder, was thrilled with the myriad of food outlets at the Bankside area, just 5 minutes walk from my office. 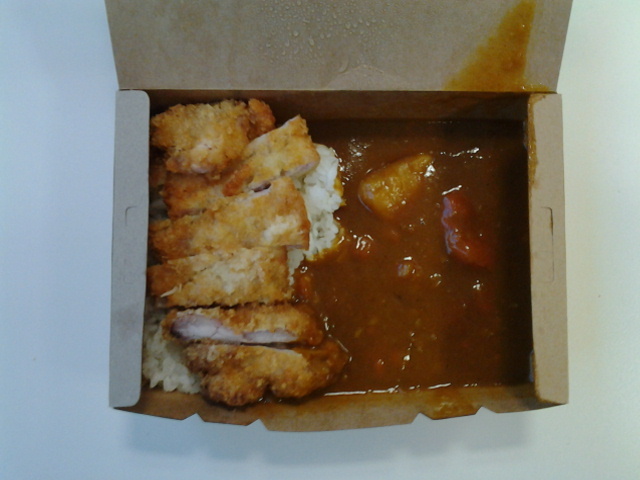 Been awhile since I had katsu curry so have to give it a go. 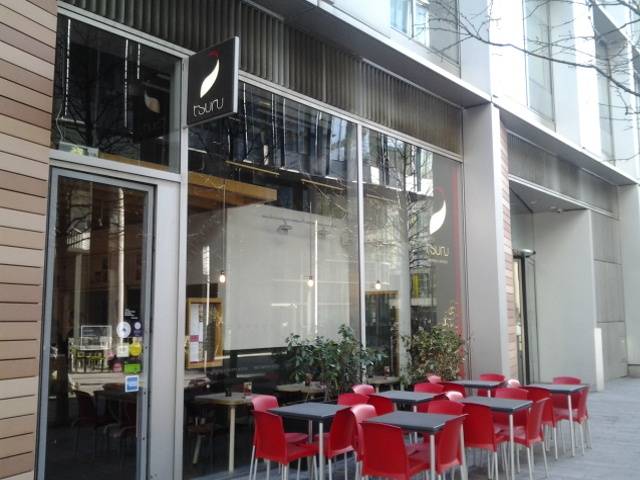 Tsuru is a small Japanese restaurant with three outlets, 2 in the Square Mile and the last at Bankside. 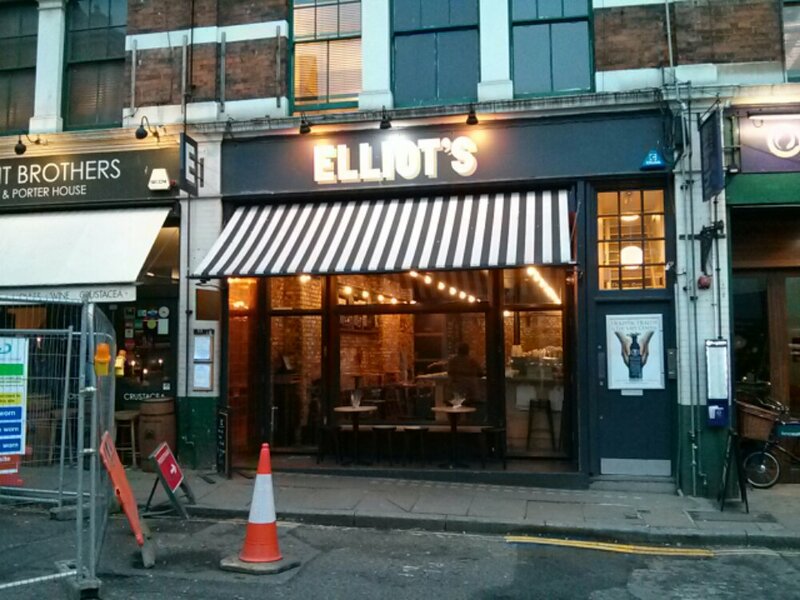 The shop is roomy and spacious and can sit quite a few eat in diners. 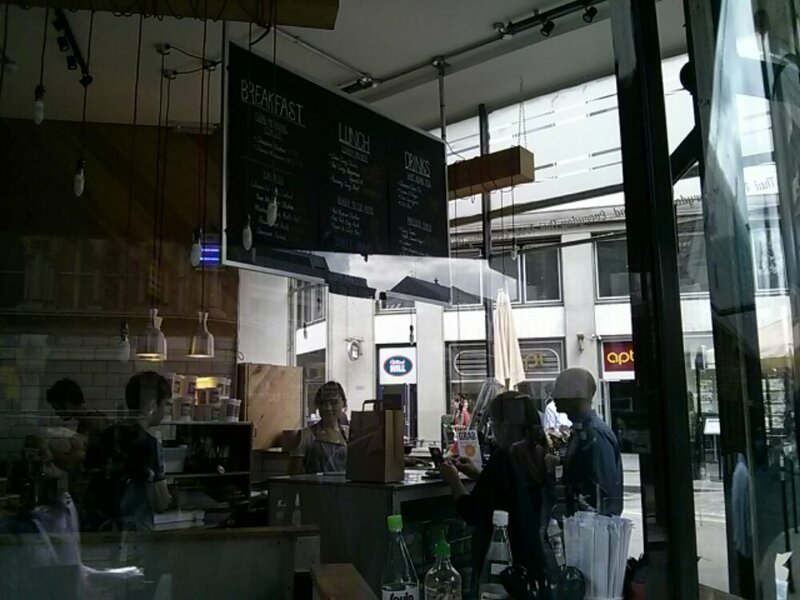 You can also see the chefs working behind the scenes via the glass panel behind the counter. 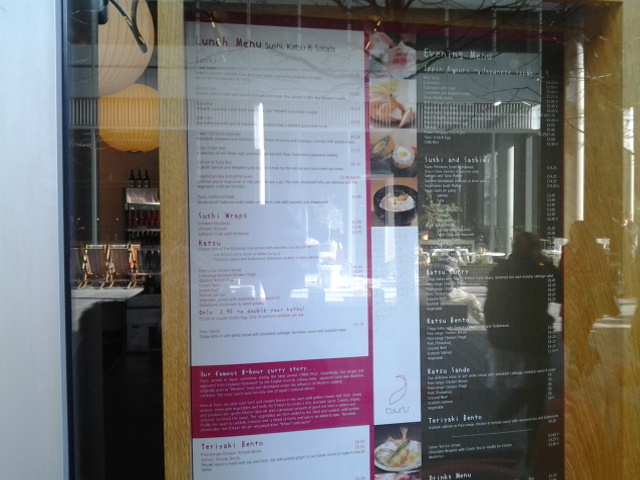 If you can read the menu, it’s filled with sushi, handrolls, salads and bento boxes. 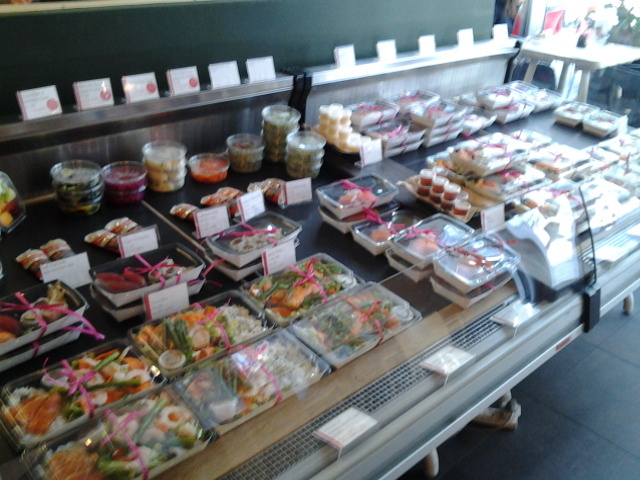 The sushi, salads and handrolls are pre made and the selection is pretty good I have to say. Definitely summer fodder. 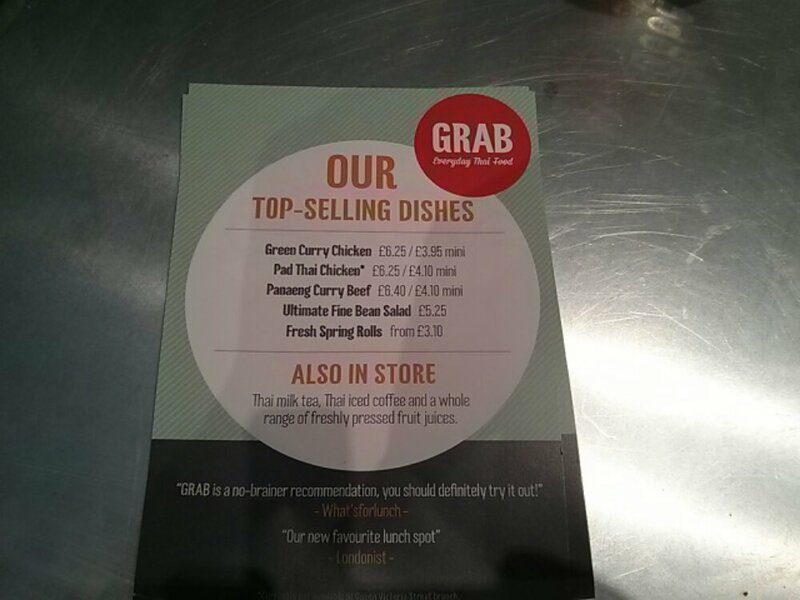 For the curry, you can choose from a choice of protein, from chicken breast or thigh to fish, prawn, tofu and even beef! 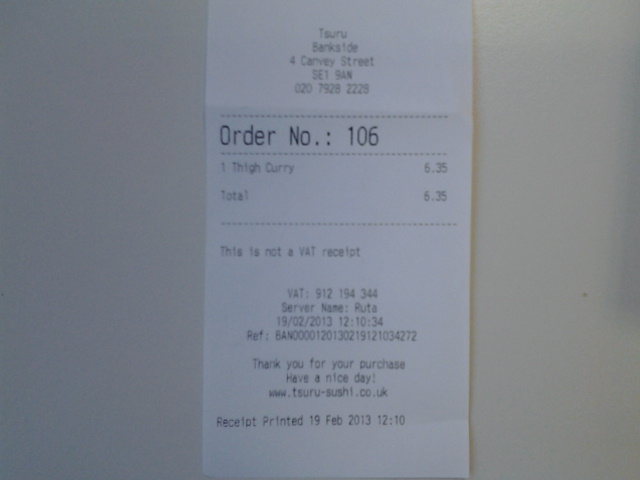 I’m more a thigh than breast person so went with the Chicken Thigh Katsu Curry at £6.35 which is 5p cheaper than breast. On their menu, apparently the curry sauce takes up to 8 hours to cook! Well, that sets the expectation. Price wise, it is on par with Japanika but way more than Wasabi or Asta so I’m going to judge it against Japanika’s offering. 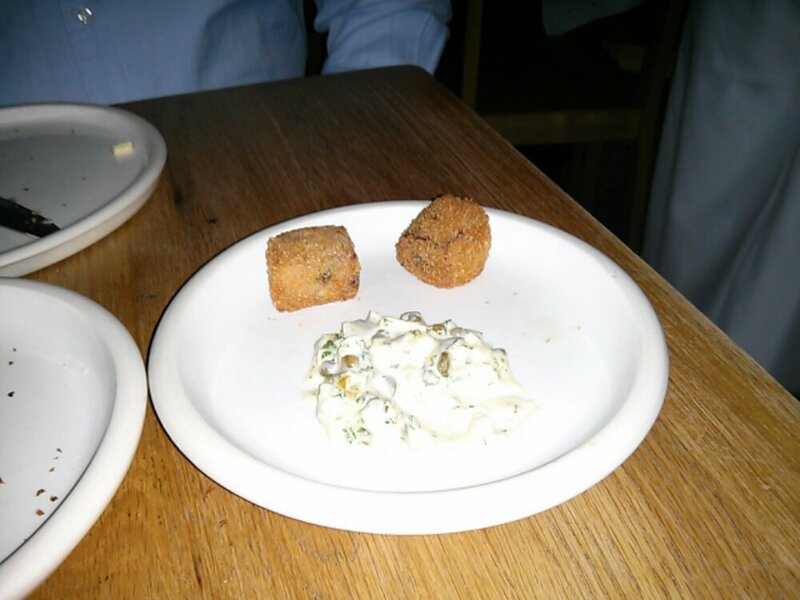 The chicken thigh is coated with panko rather than the normal breadcrumb which scores point on my part and as always, thigh meat is always juicier and more tender than breast. The main point of comparison will be the curry sauce I reckon. If you recall, I deemed Japanika’s version to be full bodied and beefy which I thought was the best of the 3 I have had. 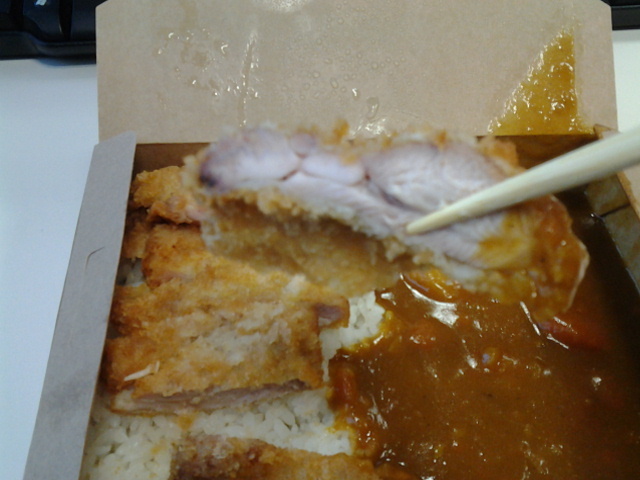 Tsuru’s curry sauce is a fruity rendition with a refreshing tang from apples I think. Personally, I’m not a fan of cooking with fruit but I can see how this will appeal to children and those with sweet tooth. Only complain I have is I could do with a bigger portion of rice though the generous portion of chicken thigh and big wedges of carrots and potatoes more than makes up for this. I am a rice bucket afterall. Saw this place on my way home last night and thought what a quirky and imaginative name. The fact that they serve sushi and noodles makes it a must try. 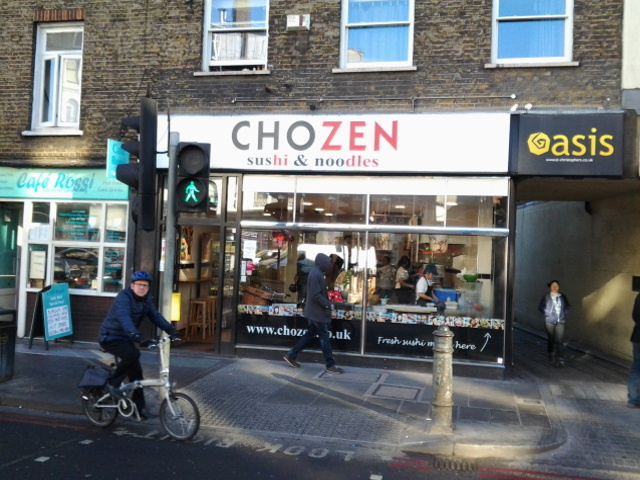 Chozen is located along Borough High Street, diagonally opposite Stoney Street, one of the entrances to Borough Market. The name of the joint is a word play on “Chosen” but spelled as “zen” so you know they serve Japanese inspired food. Subtle but rather effective I think. The set up is very much like Wasabi where you can get hot food from steamer trays and cold sushi from the fridge area. A variety of udon noodle soup is also available. 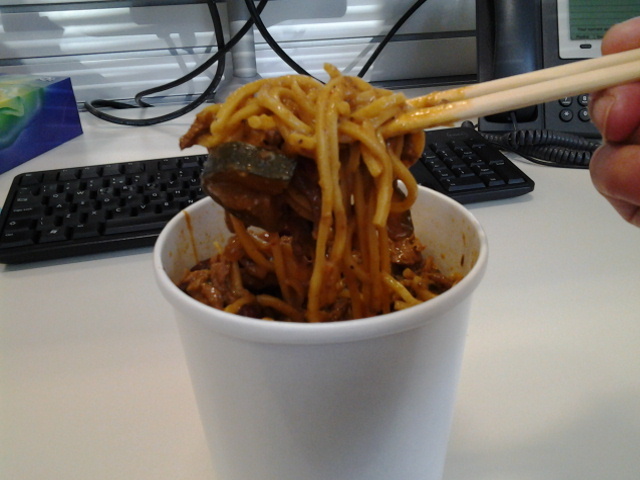 Just pickup a udon container and the counter staff will top it up with soup. Price wise, I think it’s a tad more than Wasabi but not so bad to be obvious. 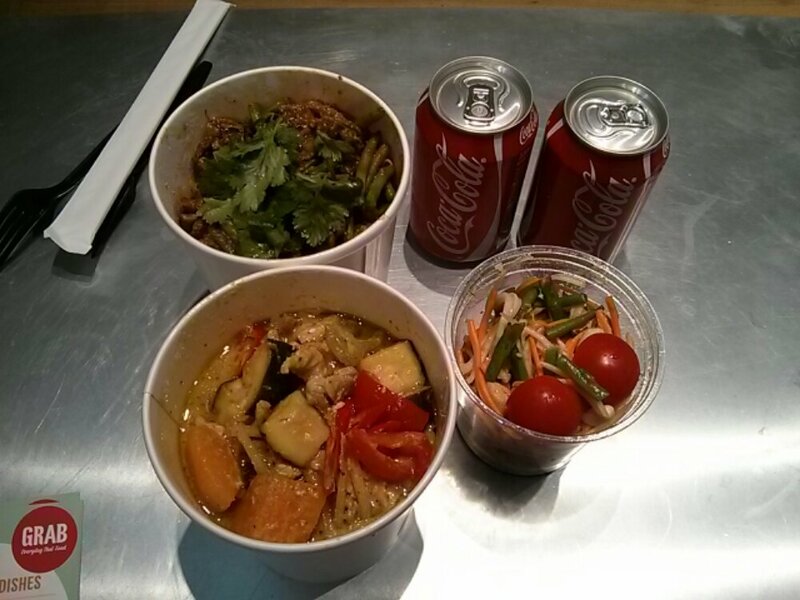 From a choice of red thai, green thai and katsu curry and also black bean with either veg, chicken or beef, I went with the Red Thai Beef and got egg noodles as carb instead of rice. Was asked would I like to go large/upsize for £1.50 more, I simply had to say yes. Total came up to £7.15. 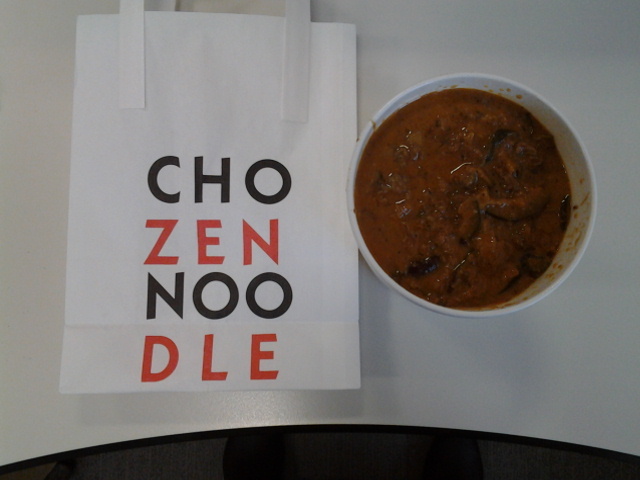 The smell when I opened the container reminded me more of satay sauce then red thai curry, strong whiff of peanuts. The beef was thinly sliced and very tender with courgettes, kidney bean and peppers scattered throughout. 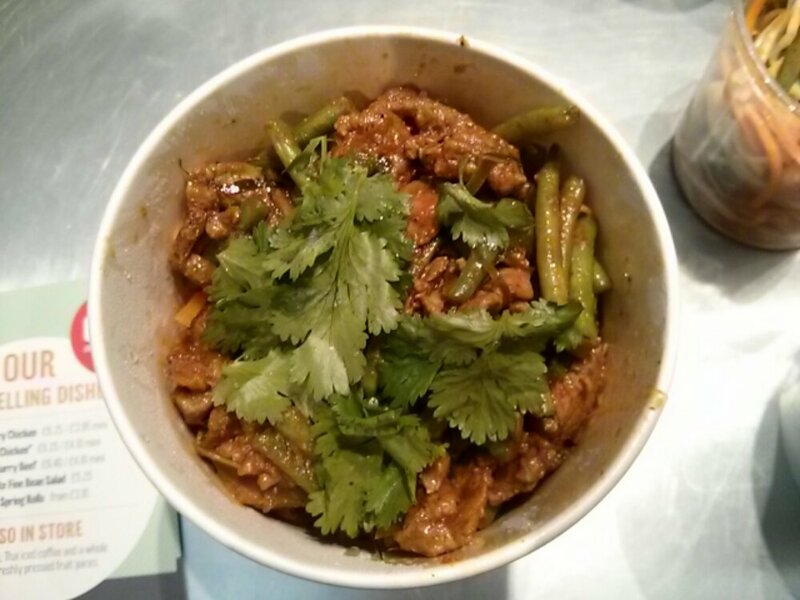 Taste wise, it’s definitely not red thai curry. I would say this is more like a slightly spicy stew. 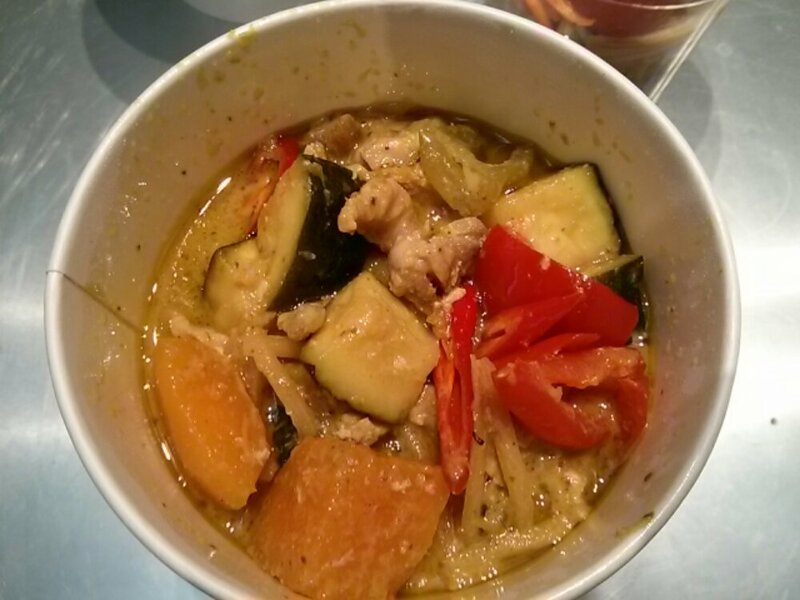 Not too bad if you are not expecting red thai curry. I will give their udon soup noodles a go when I’m craving for something soupy next time.